to Bring You the Best Clinic in the Country! & many more regional and national speakers! It is OUR clinic – WE are the “Keepers of the Game”! Net proceeds SUPPORT MFCA programs: Scholarships, All-Star Game, Summer Manual and Recognition of Coaches and Players – Hall of Fame, Mr. Football, etc. Outstanding EDUCATIONAL opportunities with TOP local speakers – high school, college and professional. WE are a fraternity of SHARING – socials provide an environment for collegiality. Myriad of opportunities for INVOLVEMENT in the Association – Rep Assembly, Business Meeting, Retired Coaches Gathering, etc. LEARNING ENVIRONMENT about all things football in Minnesota. Great FACILITY – hotel location, amenities and ease of parking help provide for a first-class clinic experience. 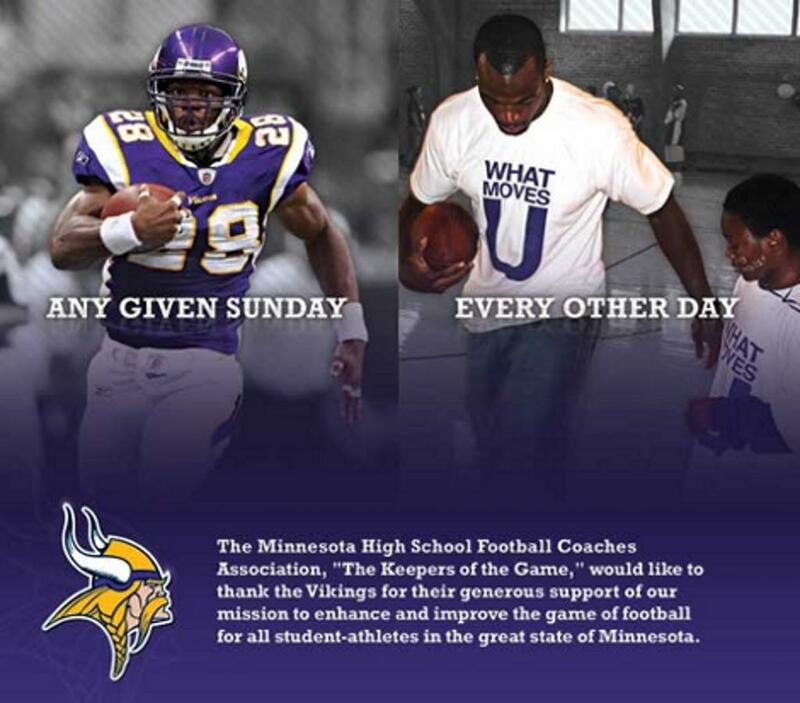 We partner with the GOLDEN GOPHERS and the MINNESOTA VIKINGS.